I had not heard of the Rainbow Jam until Saturday night, but I have managed to rope in my wife for code, and she has then managed to rope in another friend for sound design. Having started a day or so behind and already having plans this weekend and next, our scope is a little more limited than we would like but we are currently on track. The premise is one I thought of a few years ago and even go to the point of making concept art for, but never developed. It is a vertical scrolling shoot-em-up, where you have to "tune" the colour of your laser to that of the enemy's. Being the wrong color means you do little or no damage, whilst getting it right means you blow them up. 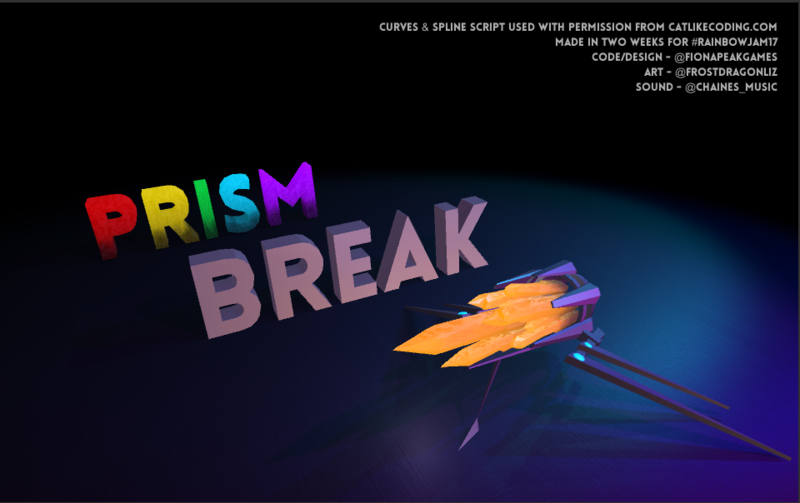 You can a play a test version using the link below - the ship is moved by the mouse, while the colour of the beam is tuned by using the mouse wheel or A and D.
Feedback welcome, although remember this a WIP. Updated with sound, title, boss, effects, general improvement! Game now finished and submitted! We are away this weekend so we won't get chance to work on our entry any more before the end of the jam. However we are pleased with the result and hope to work on a full version post jam. Just, wow. It's so polished and gives a lot of great audio/visual feedback without feeling cluttered. The mechanics feel unique, really make you think, and have a smooth difficulty incline as far as I played just now. I got up to where some clam-shell enemies spawned and I intend to play some more when I get a chance. Great work!